Swedbank has restructured its management team and launched a digital banking group. The new “Group Function Digital Banking” will be responsible for digital sales support, development and innovation. The bank is looking for a permanent head of digital banking. 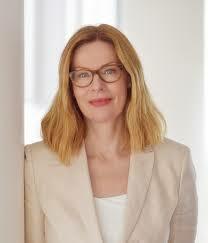 Birgitte Bonnesen, president and CEO of Swedbank, says the changes are a “natural step” and meet “customers’ demands”. All new appointments will be effective on 1 June, except for the CFO and CRO functions which will be effective on 10 June. In addition to all this, there are two new product areas; group savings and group lending & payments. Both will replace group products. Swedbank says it has over seven million retail customers and around 600,000 corporate customers and organisations with 273 branches in Sweden and 143 branches in the Baltic countries. The group is also present in other Nordic countries, the US and China. As of 31 March 2016 the group has total assets of SEK 2.4 trillion ($288 billion). Another recent digital development saw Swedbank going live with Nuance Nina – a virtual assistant that delivers a “human-like, conversational” customer service. The system, provided by US-based Nuance Communications, sits on the Swedbank website and the bank’s customers can type their questions to the virtual assistant. Swedbank customer service agents are also using the system to source information for customers.